Charon is free proxy tool servers analyzer program that includes a tester to check proxy anonymity and functionality. It has incorporated a customisable filters for eliminating suspicious IP ranges, automatically searching function that search search engines for publically posted proxy lists, function to importing proxy list directly from web and function to examine ports and ip ranges for more proxies . 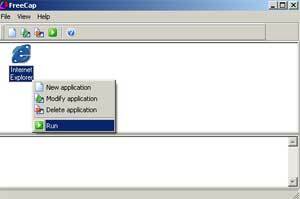 Very easy, fast and one of the best program for proxy server. 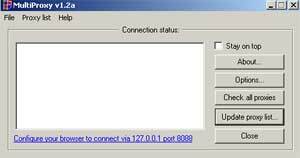 Proxyrama is a free proxy tool (freeware) for hunting, testing proxy servers and proxy download. It will test them for anonymity, speed, see of they are gateway proxy, connect method support (=chainability or SSL proxy), socks 4/5 support and geographical location. Furthermore, it lets you surf through chained proxies and let's you skip images, multimedia, ads, popups etc. It is small, fast, and easy to use and you can minimize proxyrama to the systray now.